Below you can view all the homes for sale in the Primrose Creek subdivision located in Sugar Hill Georgia. 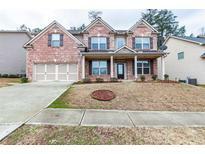 Listings in Primrose Creek are updated daily from data we receive from the Atlanta multiple listing service. To learn more about any of these homes or to receive custom notifications when a new property is listed for sale in Primrose Creek, give us a call at 404-998-4113. Seller To Provide One Year Home Warranty And $4,000 Contribution To Closing Costs. MLS#6537758. 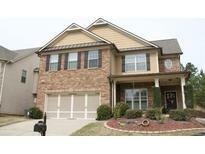 Humphries & King Realty, Llc..
Large Master Bedroom And Master Bath With Huge Walk In Closet..Fenced In Back Yard . New Roof!! ! MLS#6523824. Bolder Realty Of Ga, Llc.. Granite Counter Tops, Tile Back Splash And Hardwood Floors In The In The Kitchen, Breakfast, Formal Dining Room And Foyer. MLS#6514079. Berkshire Hathaway Homeservices Georgia Properties. 3 Additional Bedrooms Share A Hall Bathroom And Laundry Room. 2 Car Garage. MLS#6512357. Hms Real Estate Llc. 3 Additional Bedrooms Each With A Walk-In Closet Share A Hall Bath And Laundry Room. Finished 2 Bay Garage. MLS#6511280. Hms Real Estate Llc. There Are 3 Additional Bedrooms, 2 Of Those Bedrooms Have Walk-In Closets And All Share A Centrally Located Hall Bath. 2 Car Garage. MLS#6511235. Hms Real Estate Llc. The Back Offers Double Decks And An Amazing Private And Fenced Yard! MLS#6126713. Realty One Group Edge. There Are 2 Additional Bedrooms Each With A Walk-In Closet And Shares A Centrally Located Hall Bath And Huge Loft. 2 Car Garage. MLS#6107758. Hms Real Estate Llc.